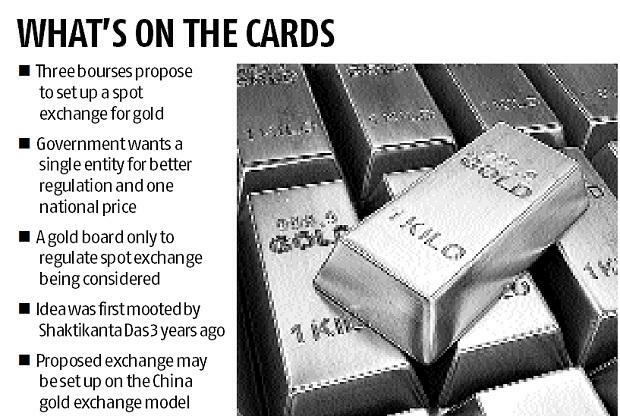 The government proposes to set up a single spot exchange for gold, finalising a method to organise the yellow metal's trade years after the idea was mentioned in the 2018-19 Budget. The government proposes to set up a single spot exchange for gold, finalising a method to organise the yellow metal's trade a year after the idea was mentioned in the 2018-19 Budget. The electronic exchange will oversee trade right from import, said a source privy to the development. Details on structuring and regulating the spot exchange are yet to be worked out. Currently, the price set by Indian Bullion Jewellers Association is regarded as a benchmark for spot markets and it is also used for fixing price of sovereign gold bonds. 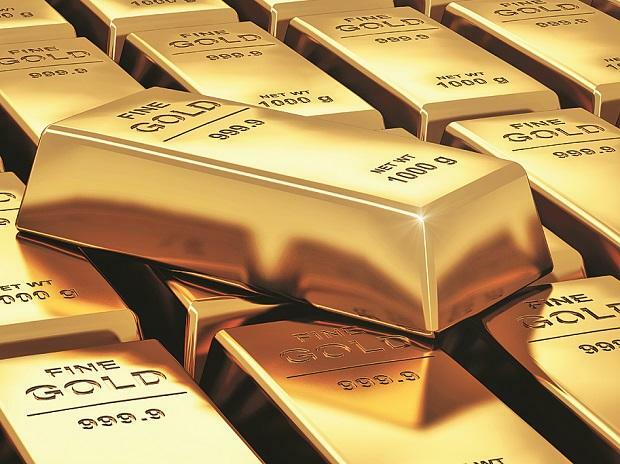 The Bombay Stock Exchange and Multi Commodity Exchange have proposed to set up the gold spot exchange. The two exchanges will prefer to start spot trading on a platform for forward trading, allowing delivery at a different date than the date of the trade. The two exchanges are regulated by Sebi, which oversees forward trading but has no power over spot exchange. However, both exchanges are prepared to launch spot exchange for gold. China’s Shanghai Gold Spot Exchange works on this model, starting from selling imported gold first on the exchange. India, however, mines little gold, imports half of its domestic demand and refines 30 per cent of total imports. Refined gold is also imported in unrefined form. The government plans to set up a board for regulating the spot exchange. However, for ensuring a single spot exchange, a company will be floated in line with setting up of development financial institutions in pre-reform era. A government-owned enterprise will pick up initial stake and rest of the equities will be offered to non-government entities where existing exchanges can pick up stake.